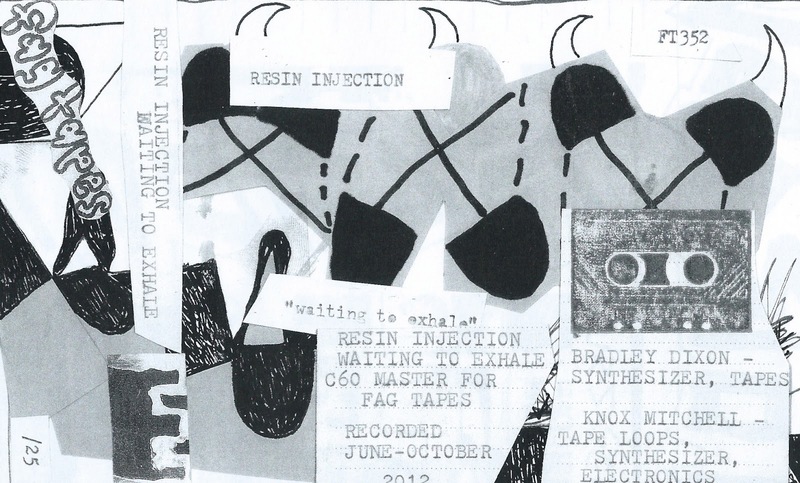 FAG TAPES: RESIN INJECTION "WAITING TO EXHALE"
RESIN INJECTION "WAITING TO EXHALE"
FT352 RESIN INJECTION "waiting to exhale" cassette. Recorded June-October 2012 captured the duo of Knox Mitchell & Bradley Dixon. Synths, tapes and electronics. This burner catch a fire. Zone out to this one! Take a walk thru your mind and take out the trash while your at it.